From breakfast… BOMA takes care of you with beautiful and good products! Discover a full buffet breakfast with local produce: organic bread from Thierry Schwartz, Viennese pastries, an assortment of cheeses and cured meats, seasonal fruit, home made pastries, fruit juices and home-made jams. *From 7 to 10am Monday to Saturday and 7 to 11am on Sundays and public holidays. Continental breakfast from 10 to 11am. BOMA thinks of you and also of its neighbors… Every week, a new lunch formula is created from fresh, local and (often) organic products!  BOMA is flexitarian; fish, meat, veggie, gluten-free or lactose-free… Take a look at our menu that changes with the seasons; there is something for everyone! BOMA loves interactions, sharing, diversity… and above all: conviviality.That is what we call “BOMAttitude”. Are you familiar with Chartreuse? Connoisseurs will be delighted with Michelin-starred chef Thierry Schwartz’s special selection of traditional, rare and collector varieties. If this is a new experience for you, don’t resist the temptation of an after-dinner liqueur or a cocktail from our menu: Chartreusia, Bubbly Chartreuse or Chartreus’ito… At BOMA we savor this elixir made from plants, more than 400 years old, in all its forms – there’s something for everyone! Small live music groups, DJ evenings, one-off events… check out our events calendar or our Facebook page… You can also become a member of the BOMA Social Club and get the latest news in your mailbox. Hotel accessible to people with reduced mobility.